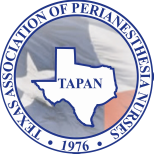 The Association bylaws shall be consistent with the bylaws of ASPAN, and reflect the rules of governance of TAPAN. A systematic review of the Association bylaws shall be performed by the Policy and Procedure Coordinator, and Executive Board, at least every four (4) years. Proposed revisions or amendments shall be approved by the Executive Board, and notification sent to the general membership.